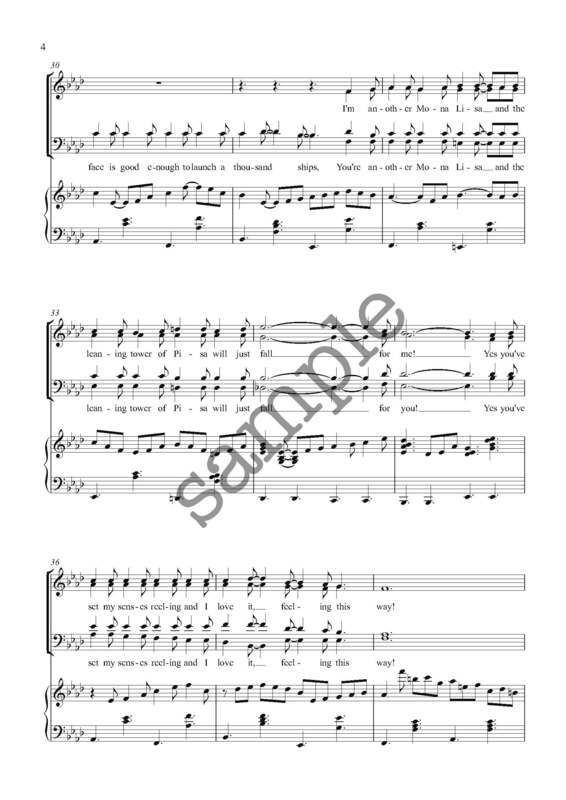 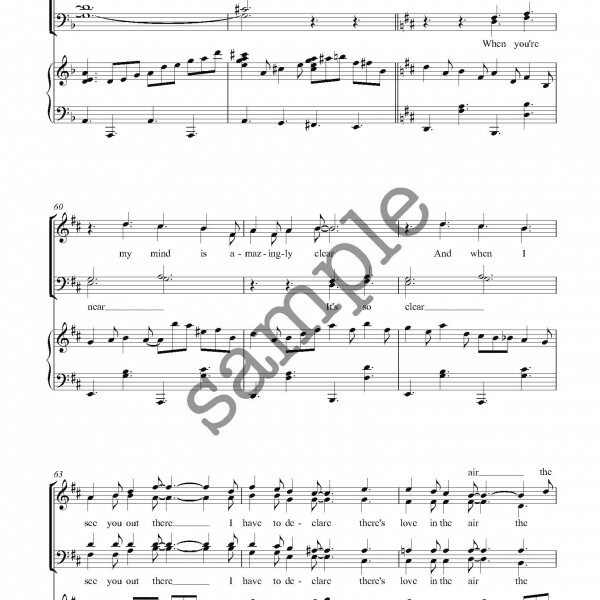 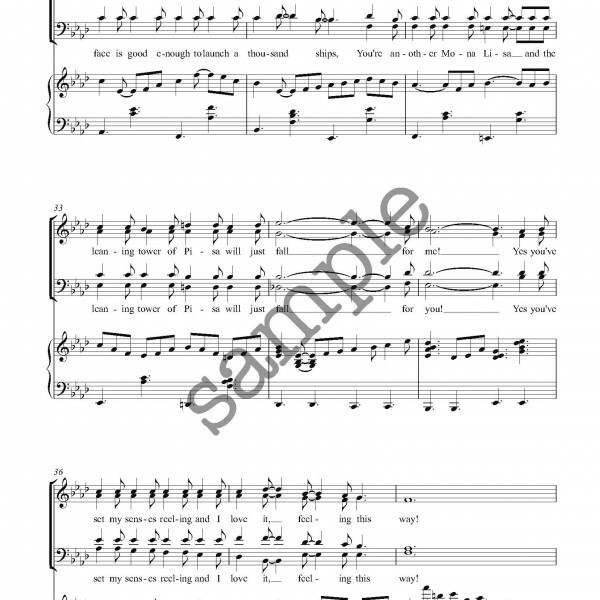 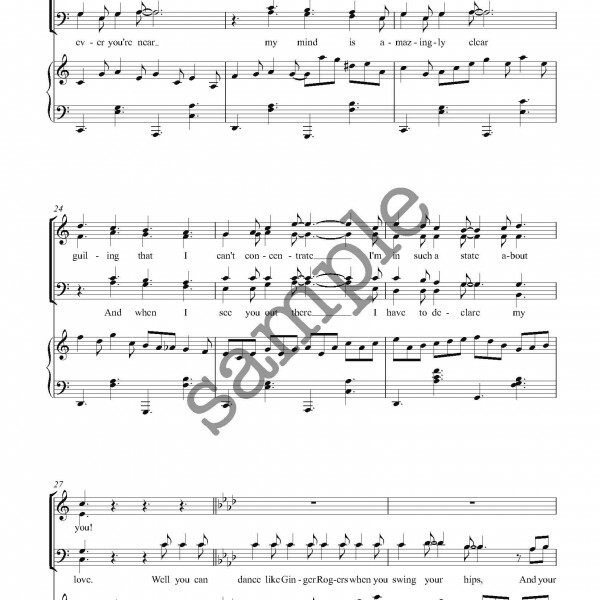 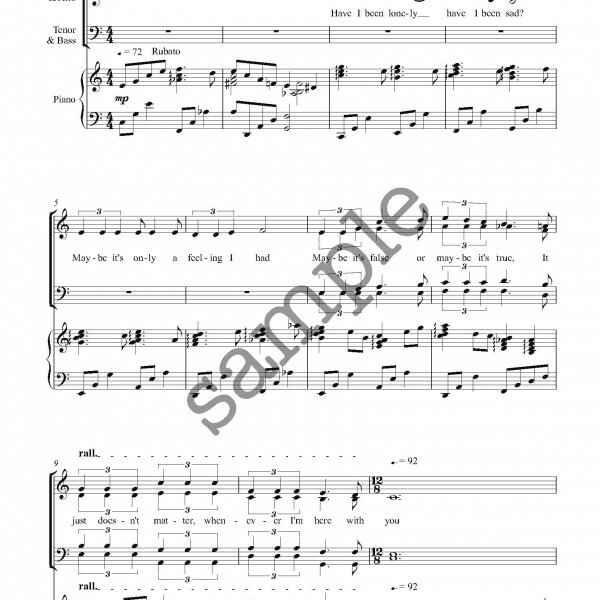 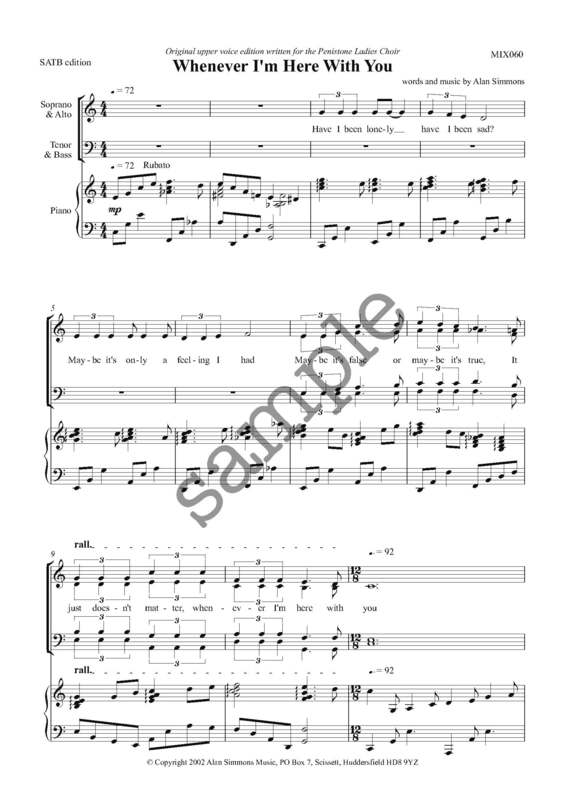 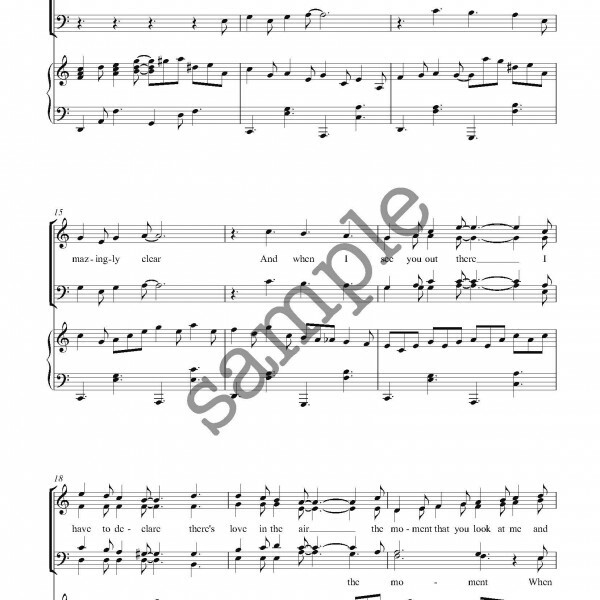 Written in a swing-style this is the ultimate love song for you to perform. 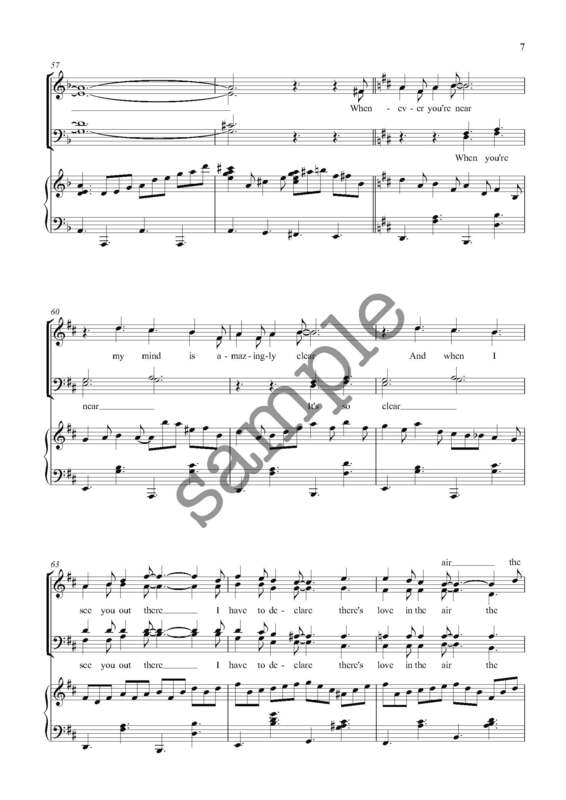 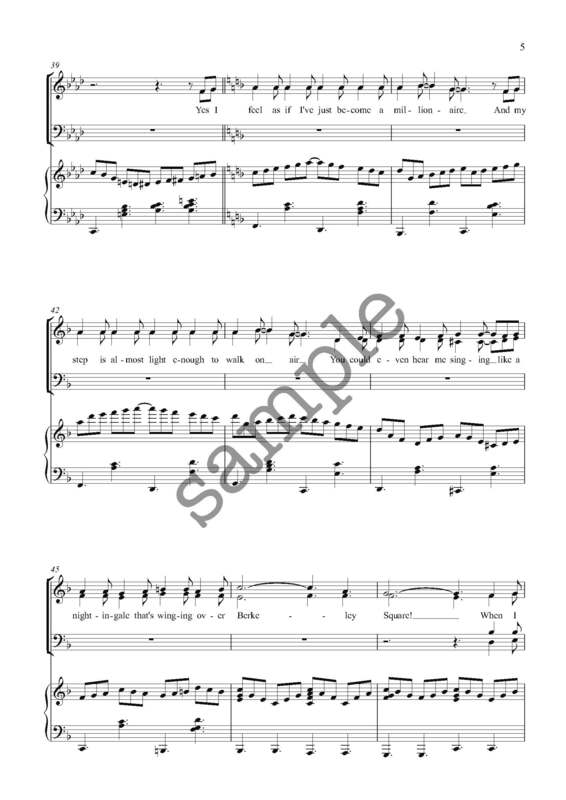 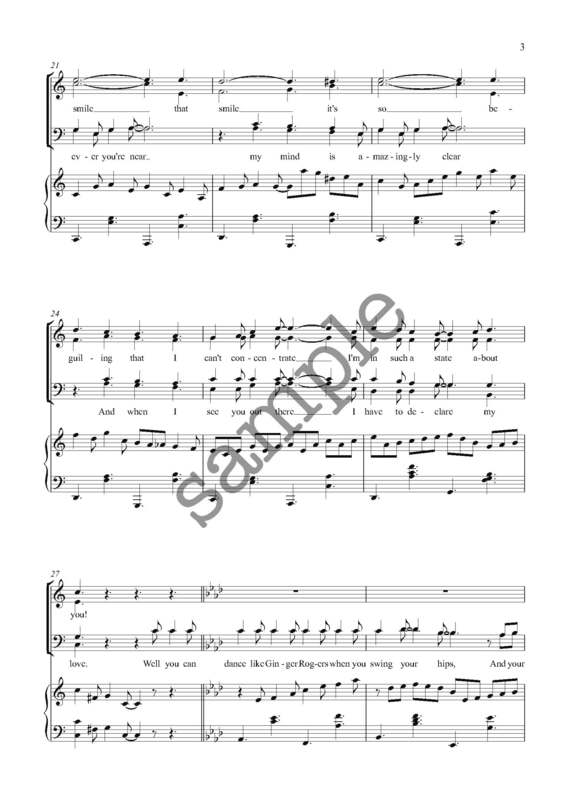 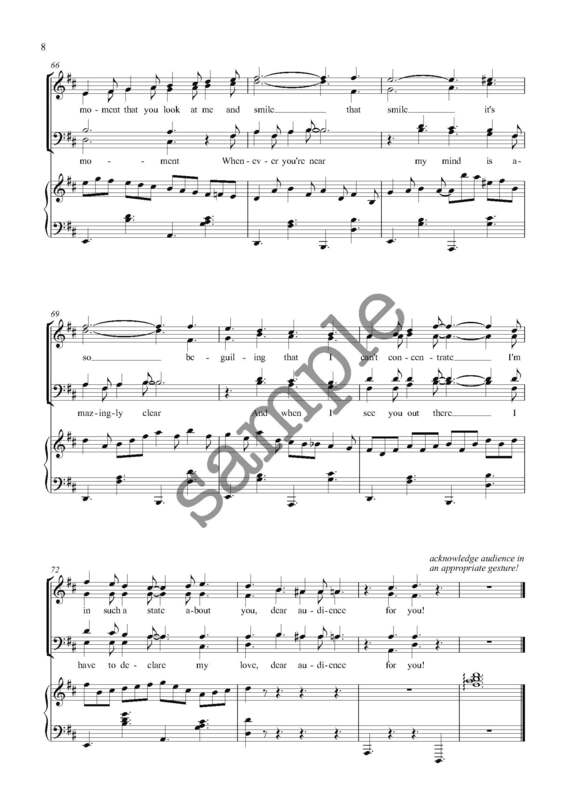 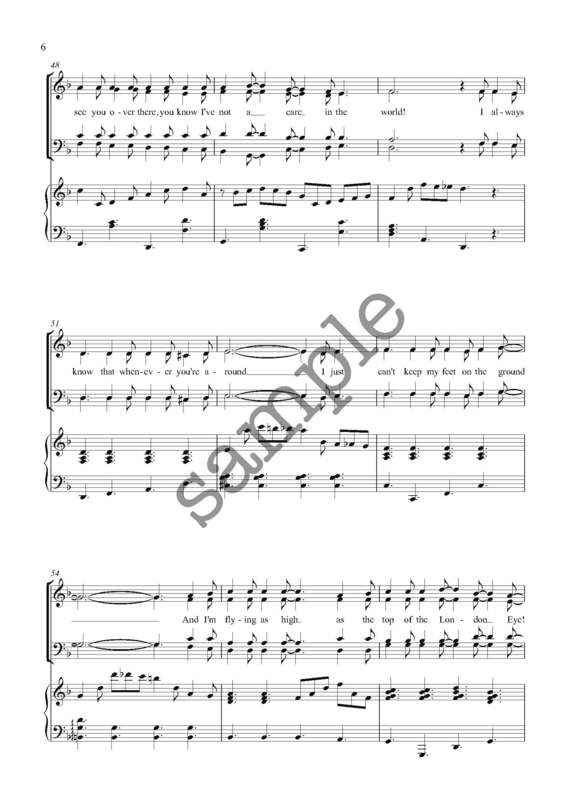 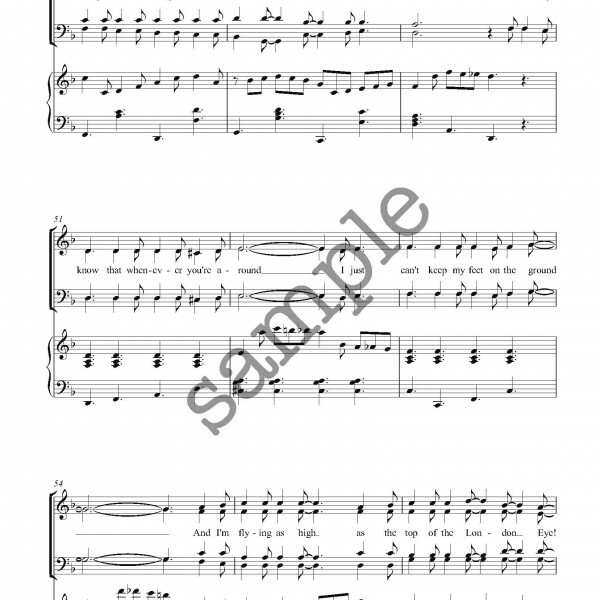 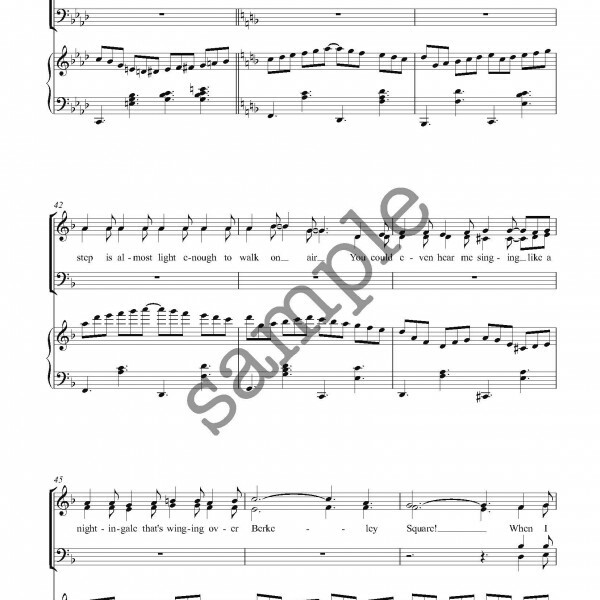 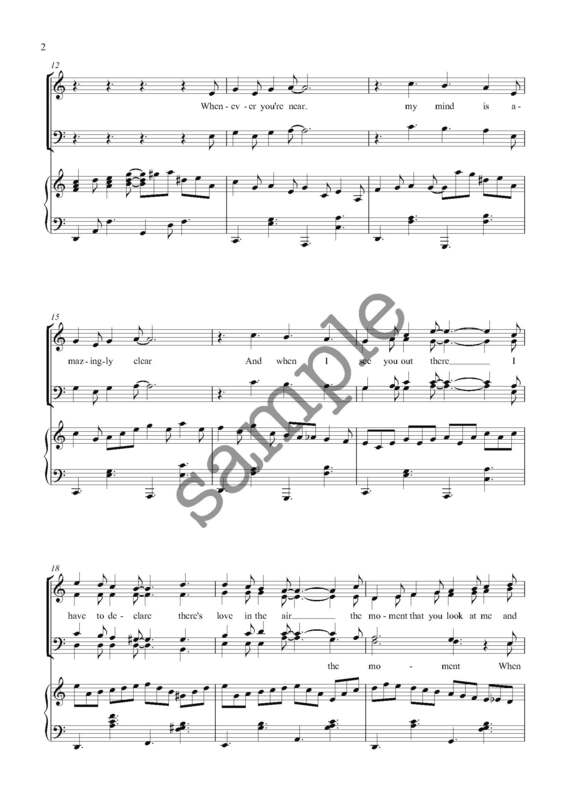 Clever lyrics and a playful interaction between the parts mean that it’s important to concentrate on timing and clarity, but it is worth it, because there’s a twist at the end that makes it the perfect concert piece! 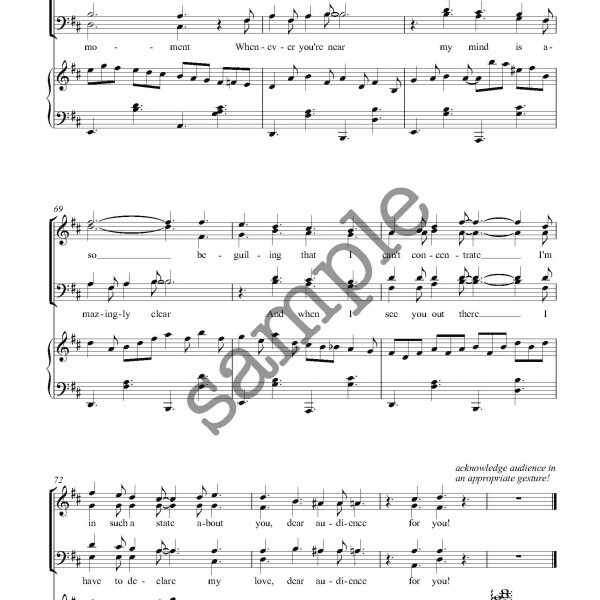 ‘When I see you our there, there’s love in the air’ gives you a clue, that at the end we discover that we are not singing to a long-time love – but in fact to the audience.